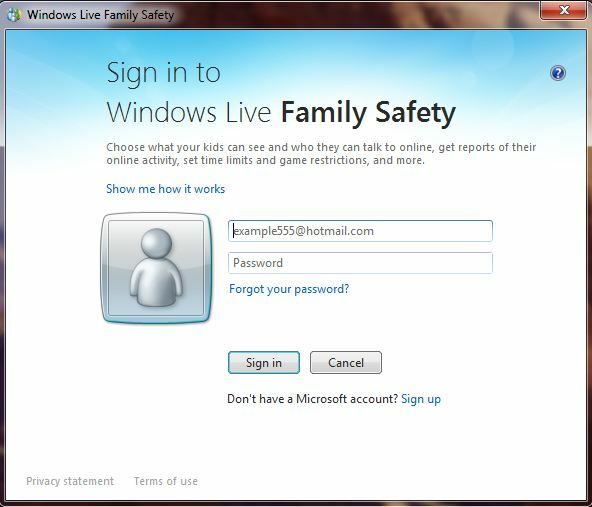 Before you can install the family safety parental controls on windows 7, you must first obtain the software from the Microsoft download website.The Family Safety download is part of windows essentials, so the installation is bundled with other software that you may not necessarily want to install. Once you have downloaded the installer to the place on your computer, double click the installation package (in our case called wlsetup-web). If you are not logged in to the computer with administration rights, you may need to provide the administrator password to proceed. 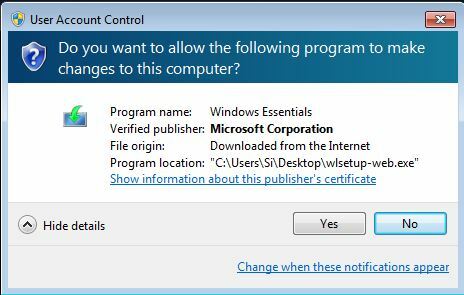 Depending on your computer settings, you may be prompted by User Account Control, with the following screen displayed. 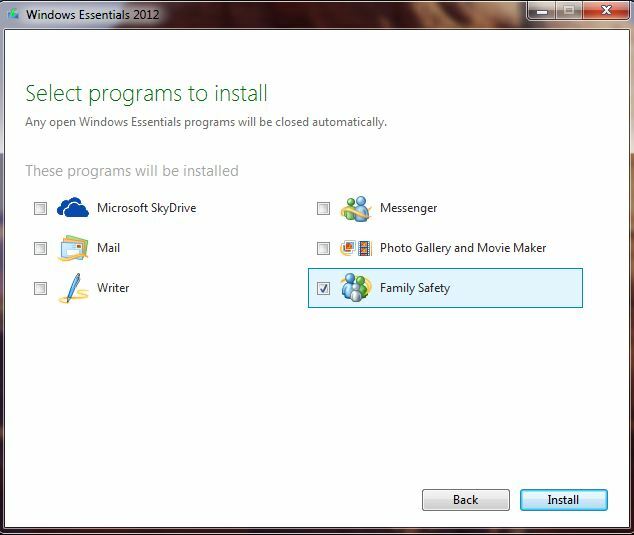 As we are only interested in Family Safety at this point, select “Choose which programs you want to install”. As you can see above, we have deselected the other programs that were designed to install by default, leaving only Family Safety selected. Once happy with the selection click the install button to proceed. 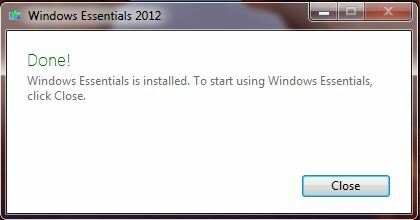 To start using windows essentials click close, actually, all that does is close the box above. 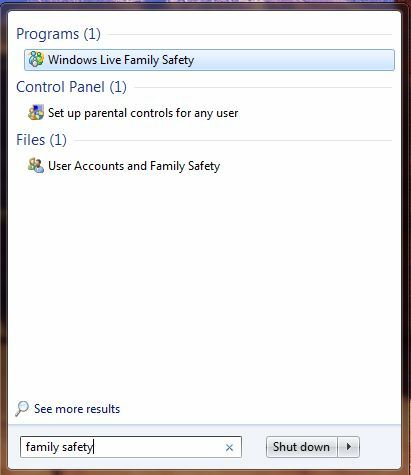 To find what we have just installed and actually start using it, use the search box in Windows 7 and type family safety as shown below. 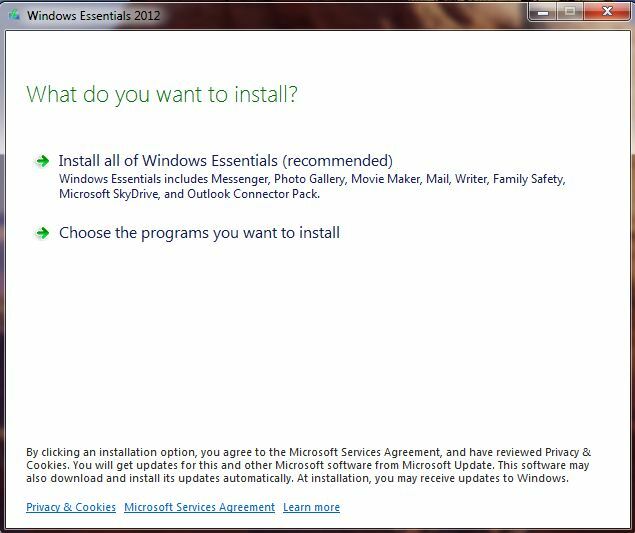 Select Windows Live Family Safety, and accept the Microsoft Services Agreement presented on the next page (unless of course you disagree to any of the terms within). Again, once accepted you will face another user account control dialogue (depending on your computer), if you do see one click yes to accept. If all has gone to plan you will now see the following screen.